The singer is in the middle of her "Oh, What A World" tour. She'll return to Texas for three shows in March 2019 in Dallas (March 8) and two in Austin (March 9/10). 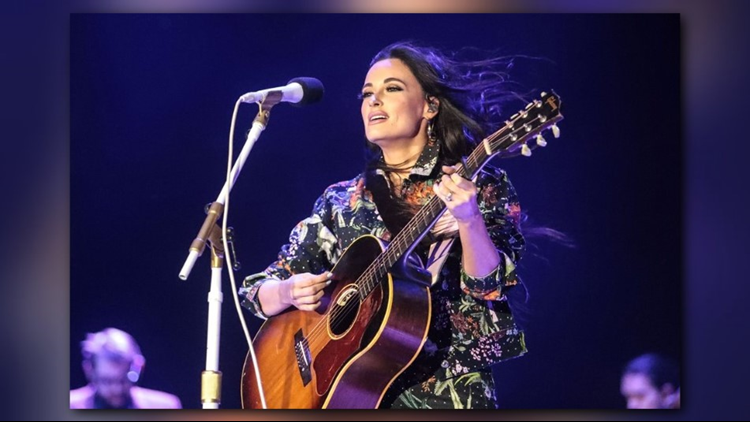 TYLER, Texas — Mineola's Kacey Musgraves has already won four GRAMMYs and she doubled her hardware Sunday night. RELATED: DID YOU KNOW: Who holds record for most GRAMMY wins? Album of the Year - "Golden Hour"
Best Country Solo Performance - "Butterflies"
Best Country Song - "Space Cowboy"
Best Country Album - "Golden Hour"
In November, Musgraves' "Golden Hour" captured "Album of the Year" honors at the CMA Awards. She was also the first female to win the award since Lindale's Miranda Lambert took home the hardware in 2014 for "Platinum." Lambert first earned the honor in 2010 with "Revolution."